Recently, I heard an audio by Donald Trump on the topic: "Think Big". Well, who else is more qualified to talk about that topic other than The Donald himself? A man who ha s built many humongous skyscrapers around the world and has a big hit reality TV show. 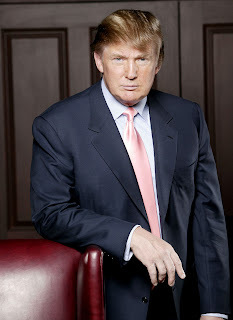 I have always admired Donald Trump, even before he starred in "The Apprentice". I guess it was that show that made him a household name. In my book, "The Joys & Pains of Growing Up", I wrote a little about Donald Trump. How he came back from near bankruptcy was simply amazing. Now of course, as all of you know, he is way better than before and many times wealthier than the last time. According to Forbes, he is worth an estimated of US$3 billion (as of 2008). You know what US$3 billion means? It means that his net worth is an estimated US $3,000,000,000! That is a total of nine zeros!!! He is one of the wealthiest man in the world and is one of the 1125 billionaires in the whole wide world! So, thinking big is definitely not an option for him--it is a must. If you want to be truly successful, you need to be meticulous about details. You can't afford to overlook something and think that it does not matter. Because most of the time, it does. When you have big ideas, you would need the energy to execute it and get the idea out into the real world. And sometimes, it would take a long time. Without momentum, you would not have what it takes to get the job done. The moment you lose your focus, you will also lose your momentum. They go together. You can accomplish a lot more things if you keep these two things working together for you. If you think you lack focus, just ask yourself this question, "What should I be thinking about right now?" No matter what you do, you are bound to run into problems. It's just part of life. If you allow problems to get into your way, it will become bigger than your idea in the first place and you may become overwhelmed by it. So, focus on the solution and you'll be surprised how things can work out. For example, why are you reading this blog post? You can give any reason you want and for whatever reason you give, reading this post is an opportunity for you to learn. Always ask yourself, "What can I learn today that I didn't know before?" Take the time to see today as an opportunity and you'll be surprised by what can come your way. This is a good way to cover your bases and know what is going on. Remember the old saying, "The harder I work, the luckier I get." Well, it happens to be true. You have to love what you are doing if you want to be successful at it. That's the fast track to success no matter what your interests are. That can zap negativity immediately and put a positive spin on problems. Why not see problems as challenges and know that you are more capable in dealing with them? Know that you have something unique to offer because you use the tools that are provided for you and remain open to new ideas. That is also where innovation comes from. Being smart means you know how to use what you have got. The only time you will be a failure is when you quit trying. Losers give up. Winners keep on going. Never give up. Start to THINK BIG and your LIFE WILL NEVER, EEEEEEEE................EEE.................EEVER, BE THE SAME AGAIN!! !